WEED: The Story of Charlotte’s Tangled Web centers on the lives of those suffering from different debilitating ailments that are fighting for the option to have medical marijuana as a choice of medicine in the state of Florida. We are facing a critical time in changing the perception and minds of those opposed as November’s Presidential election is around the corner, and Constitutional Amendment 2 is once again on the ballot.This series takes you into the lives of those fighting for the right to obtain the whole cannabis plant. 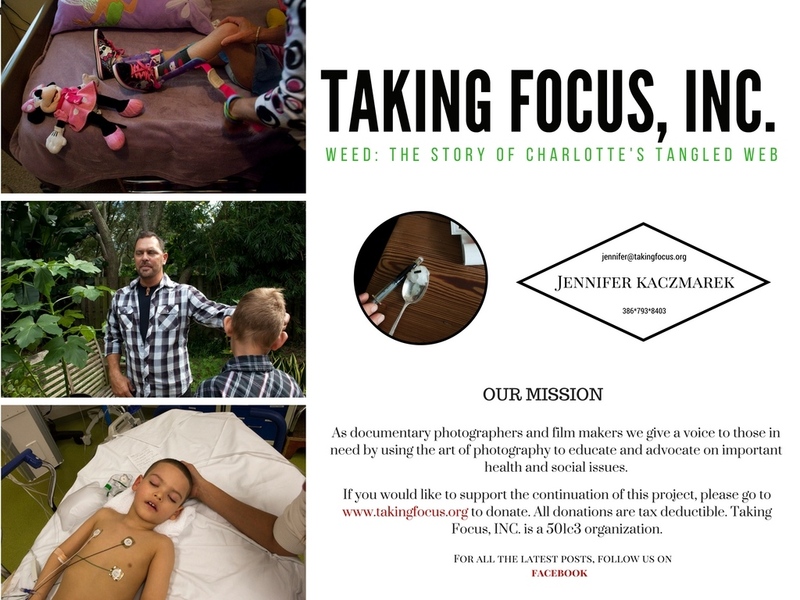 WEED:The Story of Charlotte’s Tangled Web is an on-going documentary project focusing on individuals in need of medical marijuana in the state of Florida. In August of 2014, with the desire of wanting to learn more about this hugely controversial issue, I set out to gather my own findings. It didn’t take long to discover how tangled the issues are, on so many levels. At the bottom of this morass are the suffering. I would call these individuals ‘victims’. They are of all ages with all different types of debilitating ailments who have become ‘victims’ in an inhuman game of tug-of-war between politics and money. Their lives have been left hanging in the balance while those in power decide their fate. Aside from the debate of who will be in control and who will have their hands deep into the financial benefits of this plant, there is also the major issue of how much THC should be allowed for medically in need patients. A huge dichotomy has existed since the “Compassionate Medical Cannabis Act of 2014”; consisting of low THC and high CBD. This Act is limited to only cancer and epileptic candidates. The argument that exists is not only of the limiting amount of afflictions that can benefit, but also the low amount of 0.8 percent or less of tetrahydrocannabinol (THC ) it will entail. This argument of the low THC and limiting afflictions brings to the forefront the critical need of the all encompassing Constitutional Amendment 2. This Amendment would allow for all different types of debilitating ailments the option to be given medical marijuana. The need for higher THC is crucial. All those in need are aware of this because the whole plant is needed to treat all different types of afflictions, and different amounts of THC are needed for some in order for the plant to work for them. What may work for one person may not work for another, and that is the problem these families want you to understand about the ”Compassionate Medical Cannabis Act of 2014", that we now have in place. Thankfully, Amendment 2 has once again been placed on the table for November 2016’s Presidential election. With it’s new revisions, thousands are hanging on to see if this vote will pass due to the fact that hundreds of families have had to become refugees and uproot their lives to move to a legal state in order to save loved one’s lives. Time is a major issue for many; for example, one seizure can end a life. Many more would flee, but there are different factors involved, and financially it has been impossible for many. This work has indeed been a journey for me, one that I am so grateful for in many ways. First, it has allowed me to become a witness to a miracle that is saving lives. I’ve come to believe what Roby Baird believes, “This plant was created by God to heal people.” Roby is a Christian and father of five who himself had suffered with a brain tumor in 2014. He feels he would be greatly benefit from this “medicine”, for brain recovery, limiting headaches, and seizures. At this juncture, I feel a great responsibility to my subjects and those who are waiting for me to hopefully photograph them. These stories spread throughout the state of Florida. It is not easy for these families; some are afraid to tell anyone that they have tried this medicine, and some are wishing to try it for the first time. There are some families though that are not afraid for the public to know that they have tried it, and have put themselves at great risk. One family who was not afraid of sharing the substantial benefits their child has received, is now under investigation by DCF. The one thing in common between all of these families is their belief in this plant, and the medical benefits cannabis possesses. I have great determination to share this knowledge and to help my subjects who are now friends, and I care for deeply. 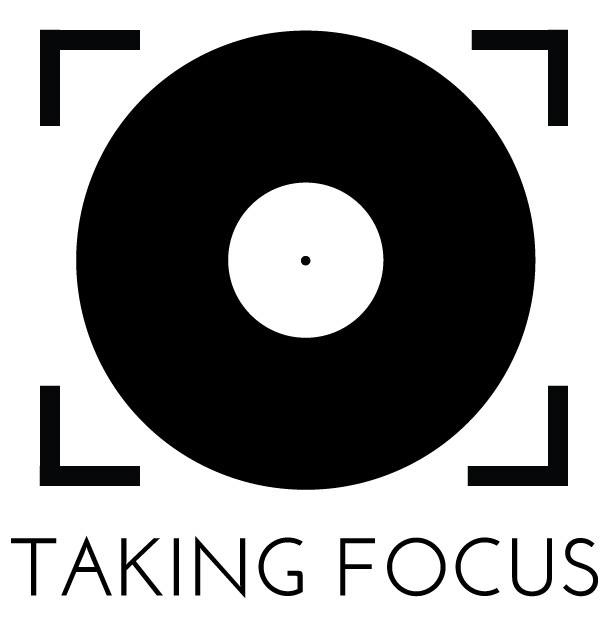 I feel fortunate to have created a platform with Taking Focus, INC., the non-profit that I formed in 2012. It has become another outlet that has enabled me to give a voice to those who really need it. In addition, Anneliese Clark, Christina’s mother and I are going to start speaking to different interest groups together. She is a member of CannaMoms, an organization of mothers fighting for the whole plant reform. Their mission is to provide awareness of, education about, and access to alternative and supplemental health care options for critically or chronically ill, medically-complex, and special needs children. Together we intend on educating as many individuals as we can on the subject. Anneliese will speak about her daughter Christina, and I will talk about and show images from WEED, The Story of Charlotte’s Tangled Web. I continue to believe in the power of photography and the impact that it can have. It is an amazing thought that potentially the work one does, can have an actual effect in changing policy. Changing the minds of those who just need to be educated about an issue is a formidable task. Knowledge is key, and giving an insight into the world of others through documentary photography is powerful. American portrait and documentary photographer.